My mom gave the lemon yogurt cake I made last weekend a facelift and we LOVE it! So it’s only proper that I now share the newer version with you on a Sunday. 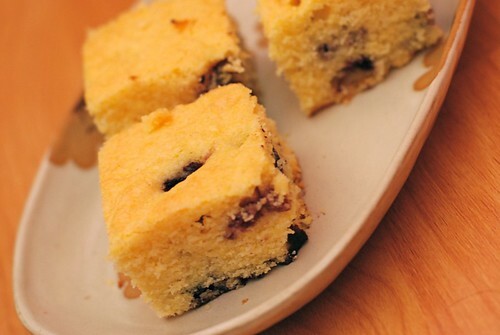 Because of the addition of cornmeal, this cake is much more crumbly, but in a fantastic way. It is light, lemon-y, but not too sweet. 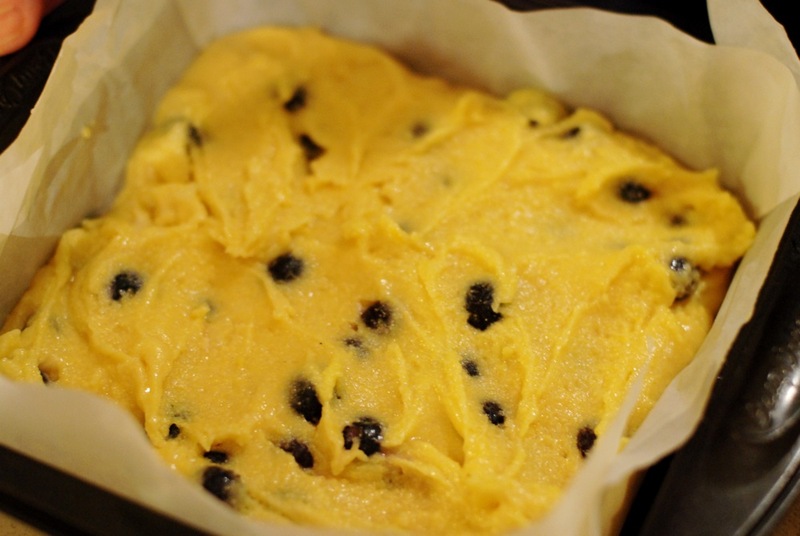 I thought with cornmeal, yogurt, and an egg, it would be much heavier than my recipe – but it’s totally not the case. 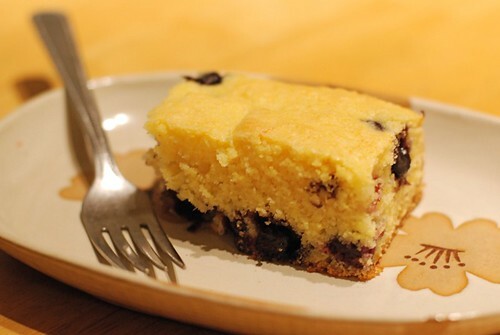 Adding blueberries also added moisture and nice little surprises when you eat this cake – it reminded me of something between a simple cornmeal cake and a yummy blueberry pancake breakfast! On that note, I’ve had a slice with breakfast, lunch, and dinner today. And then my mom made another one. I’m starting to feel like efforts we put into the past month of healthy eating are quickly going down the drain. Remove from oven and let chill in pan for about 10 minutes before removing onto a rack to cool completely. 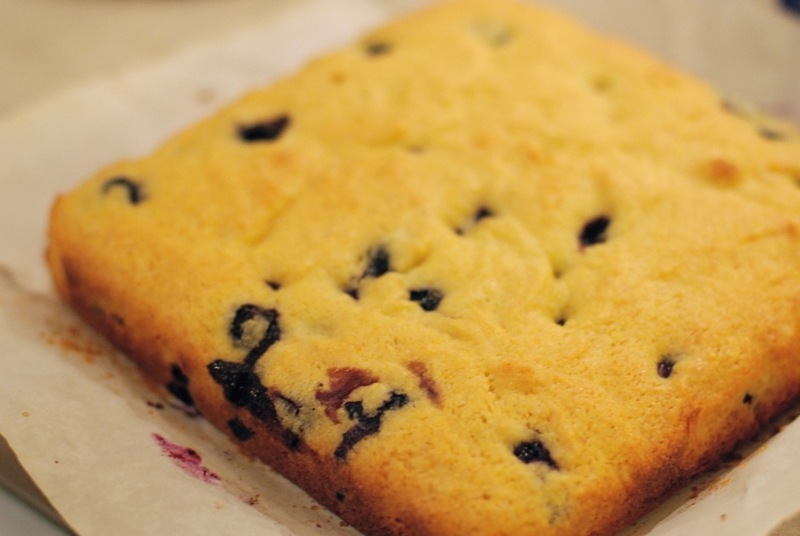 When lifting out of the pan, be gentle because the cake breaks apart easily! Enjoy one, two, or three pieces. It’s irresistible.